Middle Eastern Parsley and Bulgur wheat salad. Place bulgur wheat in a large bowl,add enough hot water to cover.Set aside for 30 minutes or until softened.Drain excess water and keep aside. 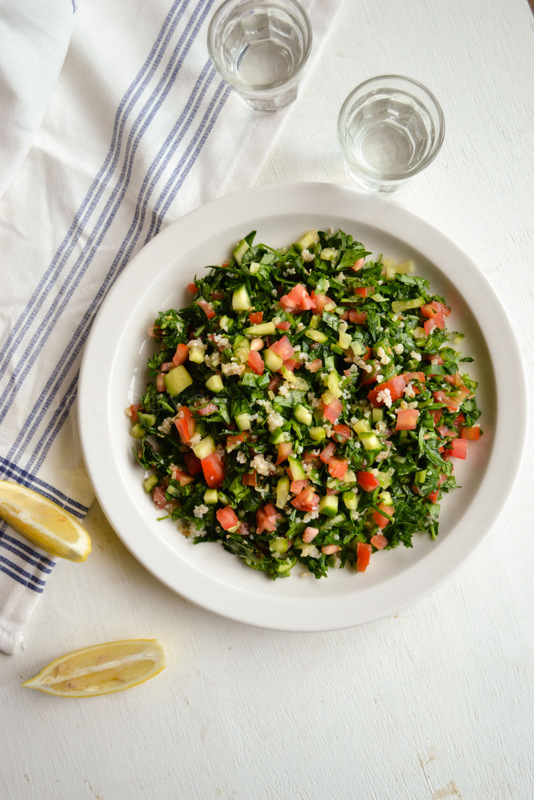 In a large bowl,combine together parsley,mint,spring onion,tomato,cucumber( if using),lemon juice and olive oil.Add prepared bulgar wheat and mix well.Add salt and pepper to taste. such a lovely salad! looks colourful. I really like Tabouleh and yours looks really good. One of my fav. salad. Will definitely try it.